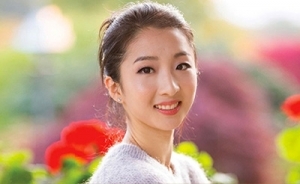 In this past issue, TOL featured Shen Yun Principal Dancer Angelia Wang. Wang has been with Shen Yun since 2008. In 2012, she won first place in New Tang Dynasty Television’s International Classical Chinese Dance Competition (adult female division). 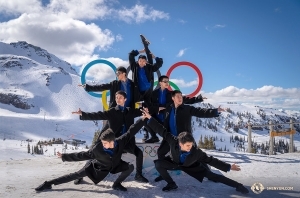 Wang will be touring with Shen Yun New York Company across North America and Europe this coming season. Sometimes when watching theatre, the lines between reality and fable fade. Even more so when the dancer reminds you of a celestial fairy from a bedtime story — effortless regal grace, sprightly dynamic flips and turns, and most memorable — an aura not from this world, but desperately needed here. 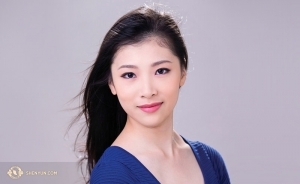 Such was my experience watching “The Lady of the Moon” — Angelia Wang, one of Shen Yun Performing Art’s lead dancers. “I regarded myself as Chang’E,” says Wang of her immaculate performance of one of ancient China’s most revered celestial characters. When she dances now, her emotions authentically flow forth, and “the audience feels they’re contagious,” she says. Reaching a stage where Wang could incarnate into this ancient goddess required many tumbles, both literal and figurative. But to say Wang wasn’t aided by predestined gifts wouldn’t be true either. A slender figure, nimble athleticism and inborn fire for perfection seem to be given to her for a reason — the very same that led her to leave China at the age of 13 to become one of the world’s most beloved classical Chinese dancers. At Fei Tian Academy in New York — where many Shen Yun performers first start dancing — Wang quickly took to tumbling, practicing techniques more than 100 times every day. Her devotion paid off. 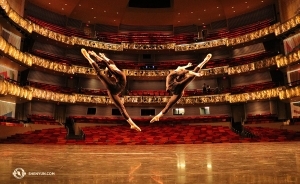 Within the first six years of joining Shen Yun’s touring troupe, she had earned three gold medals at international dance competitions. Though young in age, almost a thousand performances around the world matured her far beyond her years. Classical Chinese dance is similar to the process of peeling away layers of an onion. As Wang pursued a more perfect art, she realized the layers underneath the surface were most important, and the sweetest. One core distinction of Chinese classical dance is the concept of bearing — the idea that each gesture, spin, physicality and expression originates from the dancer’s spirit. It’s like a wheel with bearing at its centre; the spokes — the diverse characteristics of classical Chinese dance, such as a mudra, fluttering walk or flip — shoot out and rotate around the heart of the wheel — fluid, inspired, divine. It’s one reason why classical Chinese dance feels so different to watch — because bearing absolutely can’t be faked. 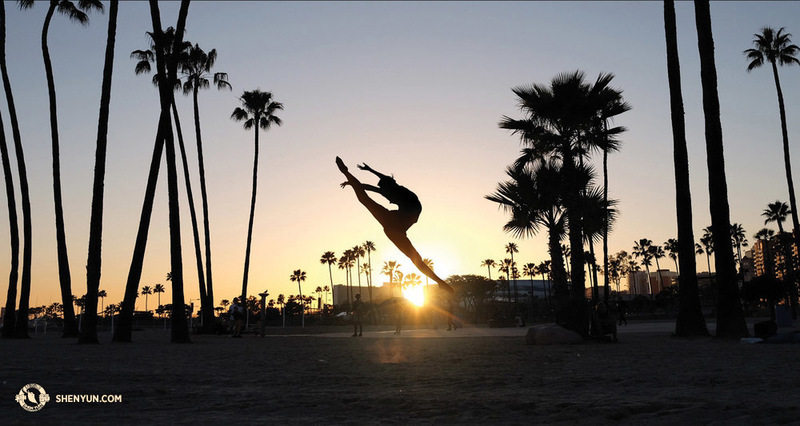 It’s a dancer’s sincere, intimate journey of the soul. While mastery of acrobatic flips and movements impossible to some came easily to Wang, cultivating her bearing was a slower process that required enlightenment as much as practice. 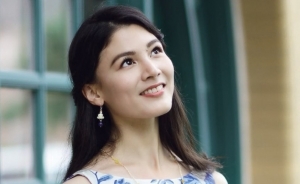 “I had studied the background of the role and analyzed her character, but what I represented was still too simple,” says Wang of her portrayal four years ago of Mu Guiying, the quintessential honourable woman. 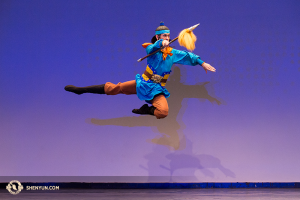 Shen Yun dancers not only cultivate their moral fiber to elevate their bearing, they do so to better understand the tremendous depth of the legendary characters in their plays. Wang said the subtle physicalities of the character’s courage, fortitude and righteousness that inspired Mu to defend her homeland were missing. 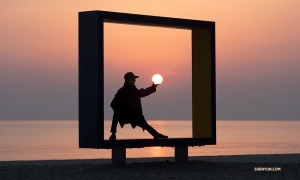 But no one can doubt Wang’s own resolve, and with inner growth came external improvement. During last year’s global tour, Wang had the opportunity to portray Chang’E, the moon goddess, and she threw her whole heart into it. Wang’s devotion to forging a stronger bond between spirit and body was transformative, both for her, personally, and for those watching. This effortless interplay of mind and motion added a dimension to dance that Wang cherishes now more than ever. Seeing through another’s eyes helps her become more selfless. “I have to help them according to their individual needs to solve their problems,” says Wang. And the advice of one of her teachers often echoes in her mind. A newfound adoration for heritage has also become an integral component in her dancer’s toolbox, allowing her to better understand the rich complexity of the characters she portrays on stage. As Wang travels around the world, sharing centuries of authentic Chinese heritage, she lives amidst a painful irony — Shen Yun can’t perform in the birthplace of this beautiful culture. Since the Cultural Revolution in the ’60s, the communist regime has waged war on China’s sacred traditions. This, coupled with missed opportunities in her youth, has left a pain in her heart. “I lived in the ancient city of Xi’an when I was young,” says Wang. “Because historic monuments were all over the city, I didn’t feel they were rare.” Not visiting the famous Terracotta Army or the Mausoleum of the First Qin Emperor has left her “feeling so regretful.” So for now, Wang experiences her homeland’s majestic culture on stage with the rest of the world, a gift for her as much as them. What Makes Shen Yun Unique?